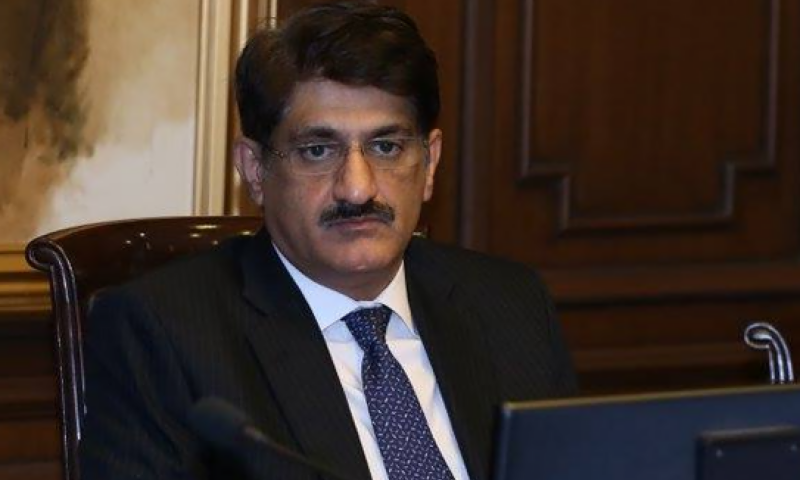 KARACHI: Sindh Chief Minister Syed Murad Ali Shah on Tuesday approved poverty reduction strategy under which an investment approximately Rs72.5 billion will be made through interventions would in education, health, water and sanitation and development t of internal village roads. He took this decision while presiding over a cabinet meeting at the New Secretariat. The meeting was attended by all the provincial ministers, advisors and the special assistants who were invited specially. The strategy was prepared by the Planning & Development (P&D) with the assistance of EU after a hectic and two-year long survey and study has prepared a poverty reduction strategy under which rural and urban poverty would be reduced by making necessary interventions by upgrading villages. The villages would be given internal roads, water supply and drainage schemes, health facilities, vocational training and top of it a holistic approach would be made to improve the quality of education. The chief minister said that the programme would be started all over Sindh and rural and urban poverty would be reduced by investing Rs72.5 billion during the next five years. This would be in addition to the already launched poverty reduction programmes and initiatives. Creating a blood centre, transferring all the functions relating to water, sewerage scheme including installation, operation and management of reverse osmosis (RO) plants to Public Health Engineering Department, forests’ conservation and other projects were also discussed during the meeting. The chief minister taking serious note of using government number plates on private vehicles ordered a drive against the culprits. The Sindh Public Procurement Regulatory Authority (SPPRA) proposed some 30 amendments in their rules. The chief minister constituted a committee under Advisor Law Murtaza Wahab with secretary GA and another secretary as members to review the amendments and then bring them back in the next cabinet meeting. The Women Development department presented an Act called “Sindh Protection Against Harassment of Women at the workplace Act 2018. Secretary Women Development department Baqaullah Umar gave a presentation to the cabinet. The purpose of the bill is to make provision for the protection against harassment of women the workplace and address their issues through a legal framework. The cabinet approved the bill and directed Advisor law to go through its clauses and send it to the assembly for approval. Sindh Cabinet on the recommendation of the recommendation of Chief Justice of Sindh High Court approved the appointment of Munir Ahmed Khawaja, a retired District & Sessions Judge, as judge of Anti-Terrorism Court, Shaheed Benazirabad. Chief minister’s Advisor on Information Murtaza Wahab brushing aside the impression of not cooperating with JIT constituted into money laundering said that the record whatever they were asking was being provided to them. He said that presently they have sought a record of the last 10 years. “The provincial government was collecting the record and it would be of volumes and as soon as it is collected it would be handed over to the JIT. Replying to a question about Omni Group, Murtaza Wahab said that he was not their representative to respond question about them, however, he said they [Anwar Majeed and AG Majeed] were out of Pakistan when cases were made against them. They came and appeared in the court from where they were arrested. “This is unprecedented in Pakistan that people are being taken into custody before proving allegations against them,” he said.